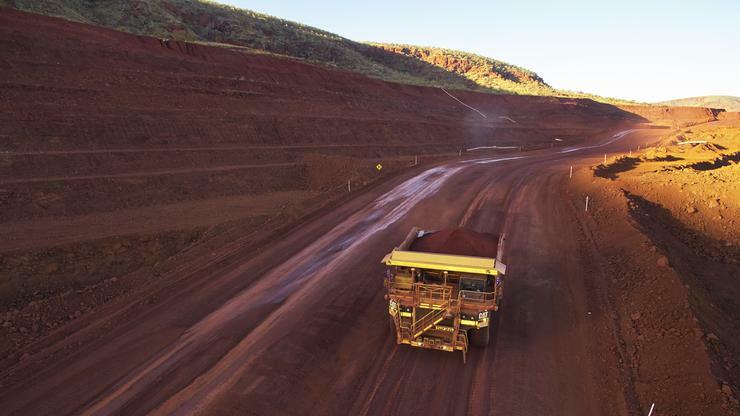 Fortescue Metals Group is launching an autonomous vehicle research and development hub in the Pilbara region town of Karratha. The miner’s autonomous truck fleet – Autonomous Haulage System (AHS) – has traversed some 24.7 million kilometres since 2012 at its remote Pilara mines, but the company is now seeking to apply the technology and know-how in “an urban environment”. An “autonomous light vehicle trial” has started at its Christmas Creek mine, research which will be expanded at the new Fortescue Future of Mobility Centre. “The emergence of autonomy is one aspect in which our world is changing rapidly. We intend to be part of the opportunities that it will represent for the mining industry, local communities such as Karratha, and beyond,” said Fortescue’s chief executive officer Elizabeth Gaines. Fortescue recently announced an ambition to double its autonomous fleet, as it works towards making its operations “the first in the world to be fully autonomous,” Gaines said. It is expected the hub will result in autonomous vehicles hitting the streets of Karratha, with pilots similar to the RAC Intellibus driverless shuttle bus trial in South Perth. “By establishing the centre we will have the ability to develop, test and trial this technology, further contributing to Western Australia’s position as a world leading autonomous hub. We’ll be exploring all facets of the future of mobility including software, hardware and various forms of mobility solutions, to see where the opportunities lie,” Gaines said. The University of Technology Sydney will be the lead research provider to the centre. The announcement was welcomed by City of Karratha Mayor, Peter Long. “The City has invested millions of dollars into key infrastructure and amenity upgrades to activate our city centre and provide enhanced facilities and services to our residential and business communities as we strive towards our vision of becoming Australia’s most liveable regional city,” he said. Last month, Fortescue revealed that one of its driverless trucks, travelling at low speed, ran into another that was parked at its Chichester mine. "This was not the result of any failure of the autonomous system," Gaines said in the statement at the time. An investigation into the incident is ongoing.